The United Arab Emirates and Hong Kong are the most popular expat destinations for relocating global professionals to stay on longer than they originally intended, according to a new report. The study, carried out by global specialist recruiter Hydrogen, has detailed Hong Kong as the celebrated gateway to China which is attracting a large number of workers from overseas. This is largely attributed to the variety of experience and the diversity of environments which it offers in a relatively small space, according to the study. ‘Whether you are a single professional in your mid-twenties, or a seasoned professional with a family, you will find the right neighbourhood in Hong Kong. Your experience of the place will depend on why you are there and where you live, but one thing is certain, you will enjoy an exceptionally high standard of living and quality of life,’ said Simon Walker, Hydrogen’s managing director for Asia. The Global Professionals on the Move 2013 report highlights the value of international experience to professionals and charts important global trends for employers, recruiters and professionals themselves. Some 66% of global professionals who responded said their employers rated international experience as important or very important. An overwhelming 98% of respondents who had relocated recommended the experience, and 86% said they wanted to stay longer. The rising value of Asian professionals with international experience is a new feature of the global market in professional skills. Asians who have worked away from home, and whose home countries are now becoming economic powerhouses, have become a highly prized commodity, as they combine international skills and training with a profound understanding of local culture and customs, so crucial to doing business in Asia. Countries across Asia are starting to tempt this national talent home with valuable incentives such as tax breaks. 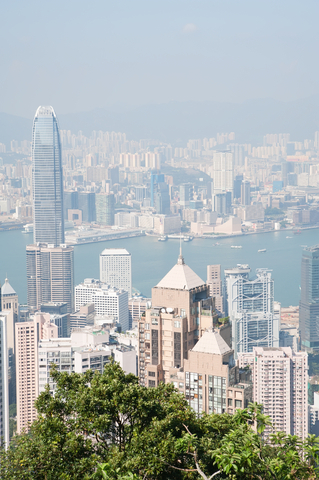 Hong Kong is the third most popular destination in the world for legal professionals to choose to relocate, fifth for finance professionals, and eighth overall, across all industry sectors. Consistently rated number one on the Index of Economic Freedom, people sometimes talk about a growing rivalry in the region between Hong Kong and Singapore. But Walker sees it differently. ‘Both Hong Kong and Singapore are fabulous places for expats to relocate, great places to do business, and strategically important for global trade. They are the two great financial centres in the region, so obviously people will compare them. Hong Kong is a lucrative gateway to China and has proved itself a great front office environment for investment banks, while Singapore specialises more in private banking, but in reality they each do both and are two significant Asian business hubs,’ he explained. The report points out that the majority of professionals have not yet caught up with the shifting balance of emerging countries. Their top preferences are still almost exclusively in the developed world and include few of the fast-growing emerging markets where they will in future be needed. Employers and recruiters will need to work hard to educate them to consider other destinations. Also, women are heading out earlier in their careers than men, or not at all. A third of female respondents, but only 17% of men, relocated between the ages of 21 and 30, whereas 17% of men, but only 5% of women, relocated aged 51 to 60. The result is that two thirds of those having relocated are men, which means women are losing out, and there will be insufficient women in the pipeline of female talent for more senior positions, many of which now require international experience. Hydrogen’s Global Professionals on the Move 2013 report, is based on a survey of over 2,000 professionals in 90 countries and is conducted by ESCP Europe, the world’s oldest business school.